Supplier also accepts payments through bank transfer and cash on delivery. In the latter case, payment must be made upon receipt of goods and only for goods delivered throughout the Italian territory (with an extra charge of € 5 for each order). 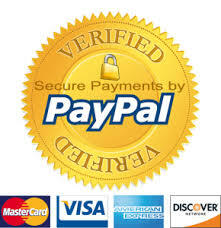 As per payments through bank transfer, the order shall be executed only upon receipt of proof of payment.